Do you need to replace one of your gas struts? Let one of our experts at SGS Engineering help. As the UK’s largest supplier of gas struts and gas springs, we have everything you need when replacing a strut, whether that’s replacement gas struts or just advice on what you need to do. Call now on 01332 576 850 and our skilled advisers will quickly match up your gas strut while you wait! Or you can email us for a same day quotation. Enter the dimensions of your gas strut into the form below and we will quote for a direct replacement. We will reply with a quote on the same working day. Replacing struts is a quick and easy process with SGS Engineering. It can be as simple as taking the part number from your existing gas strut and we’ll do the rest. Even if a bespoke size of gas strut is required, we can have it manufactured and shipped to you the next day. Use our online enquiry form to get a quote for a direct strut replacement. All you need to know is the dimensions of the strut, as well as the type of end fixing you require and we’ll send you a quote within the same working day. 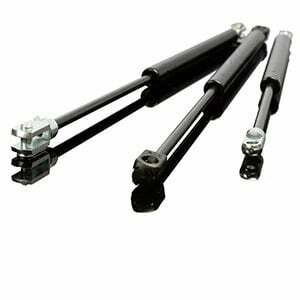 Shop online today and you can view our full range of gas struts that we have available. If you’re unsure about your requirements, or have any questions about replacing a strut or finding replacement gas springs, don’t hesitate to contact us and our expert sales team. SGS carries the largest stock of gas struts and gas springs in the UK, all manufactured in our new modern purpose built manufacturing facility based in Derby. Our range of replacement gas struts is vast, with off the shelf direct equivalents for domestic and commercial applications requiring no modification. Even if your strut isn’t listed online we can still help - contact our sales team for a same-day quote.